Thank you so much for visiting my blog today, its Thursday so I am here with another Project Share. I have chosen 4 projects for you, I am sure you will enjoy them all. I am currently on holiday so I have had to schedule this ahead f time so this is a throwback ... I have chosen projects from sometime ago as I am not able to chose from the past week. Heather has used one of my favourite stamp sets for this card. Touches of texture. I love how versatile this set is and i love Heather card as well. 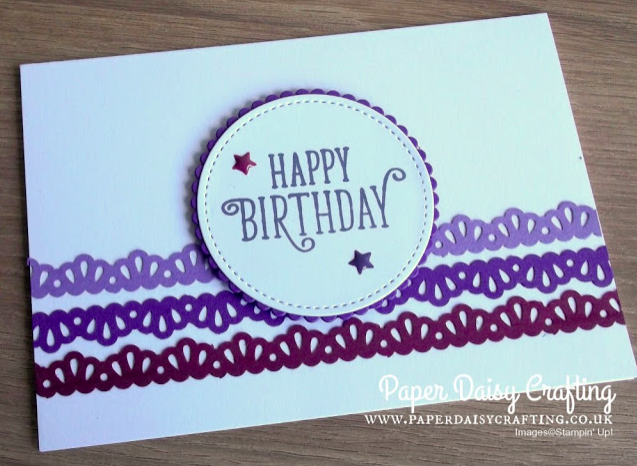 Verity has also used Touches of texture for this card she made last year. It's easy to see here the different looks you can create with this set. Love it. I have gone back to an advent project from Helzie. I love this TicTac box holder its so cute. I bought some TicTacs ages ago to do this and have just never got around to it so this is reminding me! 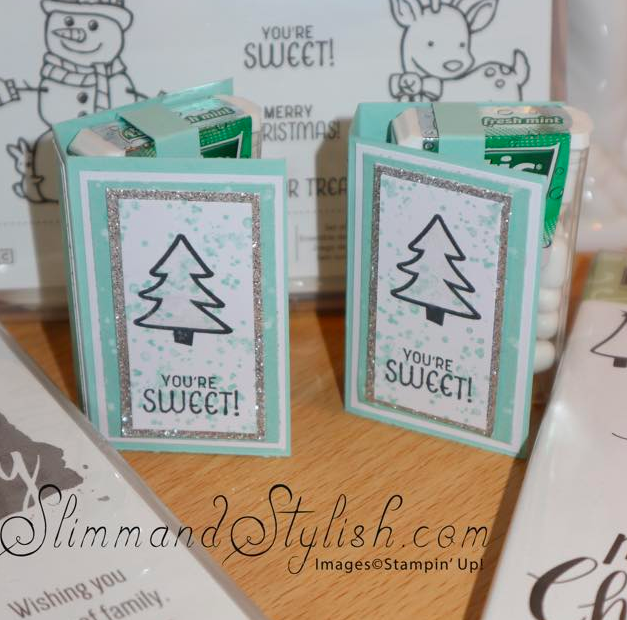 I have gone back to last yer after On Sage for this project from Jill. 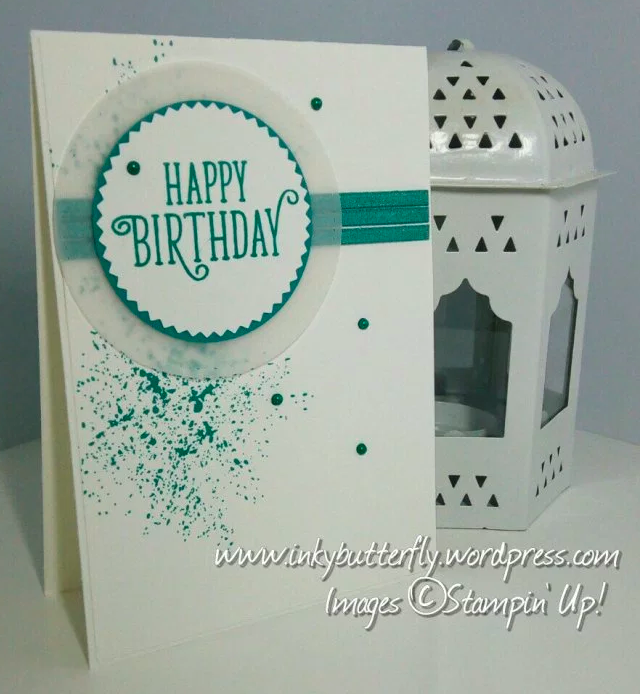 She created different versions of this card to show off the new colours Stampin' Up! introduced in the new colour revamp. 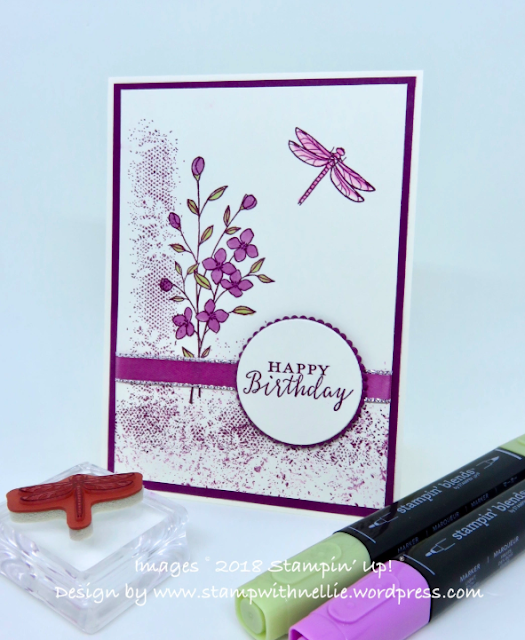 I have of course chosen the purples here but if you visit the blog post you will see all the new colours in the different cards she created.